Chancellor Terry Allison presented Thomas H. Corson of Middlebury with the 2017 Chancellor’s Medal, the highest award granted at IU South Bend. At the same event he was recognized for his induction into the Indiana University’s Presidents Circle. Corson was born in Elkhart and co-founded Coachmen Industries, Inc. with his wife Dot and brothers, Keith and Claude. As Chairman and CEO, Corson led Coachmen to become one of the largest and most respected recreational vehicle and modular housing manufacturers in the world. He retired in 1997 and served on its board of directors until 2005. 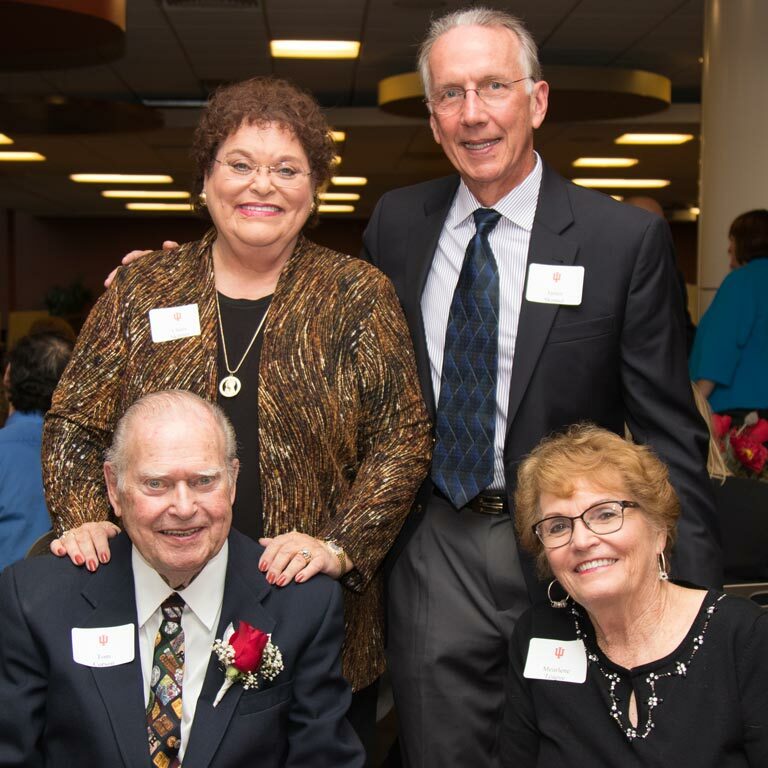 Among his accomplishments Corson was inducted into the RVMH Hall of Fame and received the Indiana Chamber Distinguished Leader Award and the Sagamore of the Wabash. The Corsons were very involved in the community giving generously many projects and organizations including the IU South Bend Elkhart Center, Ivy Tech’s Elkhart campus, and the renovation of the Lerner Theatre in downtown Elkhart. Dot passed away in 2016. In his remarks Chancellor Allison said, “Tom Corson is one of the most respected and beloved individuals in our region. IU South Bend is grateful for what Tom has done for our communities and for Indiana University.